If you understand business, you know that less than 5% of startups raise any capital to launch with. The rest start with the founder’s savings or more sophisticated self-financing techniques. 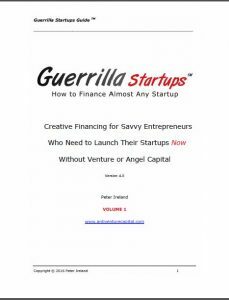 The Guerrilla Startups Guide is your ultimate resource when it comes to showing you how to successfully self-finance your startup. Scroll down and get it now. The only financing guide for self-financed startups. Will your startup survive or die in the Financing Valley of Death? Discover the financing secrets of America’s elite entrepreneurs who got through it without investors. It comes down to understanding how savvy entrepreneurs launch their startups without outside capital. Scroll down for today’s special. – In 24 hours you could be as financially savvy as an elite Inc. 500 style entrepreneur moving his or her company inexorably forward. – Or you can continue being the complete rookie who is blind to all scenarios except the fantasy one wherein the Money Fairy first drops all the money you need into your lap. The odds of the latter happening are pretty grim as most first-time capital seekers gradually realize after six or more months of futile chasing. While rookie entrepreneurs believe that they can’t take a step forward until some kind stranger delivers the full sum listed in their business plans, savvy entrepreneurs are always moving their projects ahead. One of the reasons they can do this is because they approach funding differently. They break their financing down to into asset-sized chunks and then go after the assets on a just-in-time basis. This enables them to start showing real signs of momentum and progress from the get-go. In contrast, rookies can point to little if any progress until they have been fully funded. This is a lethal confidence killer for investors. Discover how to finance almost any startup from America’s top entrepreneurs. The Startup Guide teaches you how to get going immediately. It’s based on research into the funding tactics of elite entrepreneurs. The startup funding guide reveals how seed and startup capital can be accessed or even created without investors. Get the details here. Even if you are a proven entrepreneur there is nothing tougher than trying to raise capital in the Financing Valley of Death. This label refers to the phase in which a startup lacks any cash inflows. In most cases, the startup will consist of little more than a person with an idea and a business plan. No one wants to invest at this stage unless the entrepreneur and his team are proven money-makers for investors. Have you made tens of millions for previous investors who will vouch for you? No? Then forget about it. From an investor’s point of view being asked to bankroll an unproven entity is akin to being asked to place their hard-earned money into a pile and set it ablaze. Allow me to add another important point about raising capital. It is also by far the most unpleasant task an entrepreneur will ever have to perform, so I will share the big secret with you on how to get it. All investors, from angels to venture capitalists, want to back a sure thing or the next best thing to it. This means that a startup needs to show that it has bona fide sales first. Only then will investors start to pay attention. Obviously, this is the big test for you as an entrepreneur: can you create sales without a huge injection of capital first? Every entrepreneur must pass this test before they deserve the title. So how do you get traction before the investors come in? Well, savvy entrepreneurs like the ones on the annual lists of fastest growing companies know, and that’s what the Startup Guide teaches you. Believe it or not, smart entrepreneurs have had to solve this problem for hundreds of years now. Think of entrepreneurship as a computer game with 25 levels. If your financing know-how is limited to “write a business plan and pray,” nothing is going to happen because you are stuck at the bottom level. This is a fast way to lose all your credibility. You need to work your way up to level 15 or better. That’s what the Startup Guide does for you. In fact, it will take you up to level 20 or better. How much time can you afford to lose chasing investors who want to see some proof that you are not all talk? Three months? Six months? A year? With the money supply tight, you now need this financing manual more than ever. Buy the 290 page Startup Guide in PDF today and save. Regular price is $99.95. Includes Excel spreadsheets for startups. Today it’s only $59.95. This financing guide is aimed at entrepreneurs who have not raised capital before from investors. In order to have a shot at attracting investors they will first need to prove that they have a market and can generate sales. The Guide shows how to do this. Revenue Royalty Certificates are a versatile financing structure which can be used to raise capital from investors and lenders to launch startups or fund specific projects such as new product launches. In addition, it can also be used to fund the acquisition of businesses in whole or in part. Get the details here. Today only $79.95. Regular price is $99.95. Ever felt a desire to have a productive chat or brainstorming session with another entrepreneur with close three decades of experience? Order the Package Deal today which includes the Guide in PDF and a completely confidential chat about anything pertaining to start-ups, financing, marketing, strategic alliances, public relations, or a host of other management issues. This option includes everything from the first option plus an hour of talk time to answer questions and provided feedback if requested. This site is run by entrepreneurs for entrepreneurs. The whole point of going into business for yourself is to be your own boss. The problem is that as soon as you accept a dollar of investor capital, you become their employee. So why not explore ways in which you can retain as much control as possible? First, this site offers for free most of the information other sites attempt to nickle and dime you to death over: venture capital documentation, business plan and executive summary samples, directories of venture capital firms, directories of angel investor groups, and lots more. It’s all here and for free. The site also offers a wealth of free yet sound advice on determining whether or not you fit venture capital and angel investor investment criteria, how to find and approach investors, and finally how to negotiate from a position of power rather than of desperation. Second, for those of you who have already grown weary of pounding the pavement looking for investors, we offer our premium content, the Startup Guide, which teaches you how the tiny minority of truly savvy entrepreneurs by-passes the wretched game of chasing capital and moves straight to cashflow. The Guide is a ten-year long labor of love which explains how the truly great entrepreneurs start without outside capital. As with all good things in life, the Guide costs money. As the saying goes, you get what you pay for. However, compare its price with the amount of time you have already lost or stand to lose writing pointless business plans and chasing uninterested investors. Only about one in every 500 entrepreneurs chasing capital attracts any. 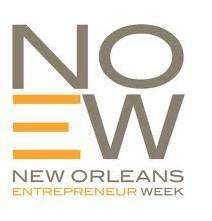 The other 499 entrepreneurs simply end up wasting six to eighteen months of their lives in a futile quest. How much is just one month of your time worth in comparison to the Guide, let alone 6 to 18 months? -Savvy entrepreneurs know how to create cash. -Wannabes wait for someone to give them cash. In a nutshell, the Guide teaches you how to create the cash that will both start your business and get you taken seriously by investors later on. Even better, some entrepreneurs realize after using the Guide that they won’t need investors at all. Good or good? If there is one lesson that I want you to leave this site with, it’s this: a nicely polished professional business plan by itself, plus $3.35, is worth a grande latte at Starbucks. Investors don’t care about your business plan, they want to see traction first. No one really reads business plans anymore because by now everyone’s caught onto the fact that they are about as objective and factual as a personal ad on a dating site. I bought the Startup Guide a few months ago. I have been a VC with a top firm, and a successful software entrepreneur. Your book is a service to entrepreneurs. I found myself in repeated agreement with you. I too came to view the capital-chasing process as a stupendous waste of time for 99.9999% of startups. The business press has glamorized venture capital and created a whole package of myths around what is a very tough reality. Most entrepreneurs have no understanding that to secure financing they are making VCs the owners and themselves the paid help, whatever percentage of the company the VCs get. And few capital seekers have a true understanding of “standard” VC deal terms. Unfortunately the VC firms have huge PR firms and it is only the happy-spin story that ever gets told. Few horror stories make it to the press. The Startup Guide teaches you how to get your venture off the ground with little or no outside money. It does so by revealing the financing strategies used by entrepreneurial greats when investors weren’t available. Ironically, while the Guide tries to dissuade you from using outside money, the application of its strategies will actually make your venture all the more attractive to venture capitalists and angel investors. The Startup Guide is the best tool I’ve found yet for financing a new business! The Startup Guide has been an invaluable resource to me during the launch of Playscreen. It perfectly illustrates hard learned lessons that entrepreneurs would be well advised to pay attention to. In the midst of all the misinformation and hucksterism around starting a company the SSG is a valuable resource you should have if you are running or working at a startup company. Peter Ireland’s Startup Guide is a must read for any aspiring entrepreneur or business executive seeking to cost effectively start or expand their business when outside capital is hard to come by. The financing techniques used in his guide were invaluable when I was at an Inc. 500 software firm and remain as effective today in my latest self-funded company. This is the startup financing guide every entrepreneur must read. Peter provides a creative yet do-able approach to getting your startup off the ground. If you want investors you must first show that you know how to create positive cash flow. Over the past 20 years Peter Ireland earned a well-deserved reputation as the go-to-guy for startup financing solutions. His startup financing guide teaches entrepreneurs the tricks and tactics employed by elite entrepreneurs to launch their startups when cash is scarce.